"Get ready to burn rubber with this action-packed racing game from EA." 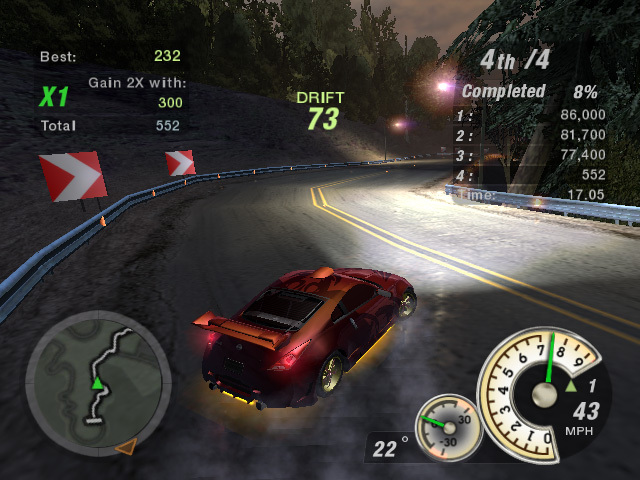 Put your racing skills to the test and put your money where your mouth is in this popular racing game from Electronic Arts. Need for Speed Underground 2 is the eighth installment of the Need for Speed franchise and it definitely keeps the motor running. It is hard to believe that a franchise can survive this long in an industry where the customers' attention spans are so short; however the NFS franchise has some loyal gamers and they won't be dissatisfied with this latest installment. Set out on a quest to become the top racer in all of Bayview and get revenge on a racer that sabotaged your beloved Nissan Skyline GT-R months ago. You'll undergo a series of Underground Racing League races (not really under the ground I might add). In Need for Speed Underground 2, EA continues the classic in game experience that its players are accustomed to. Buying, selling and customizing cars as much as possible then putting them on the road against the seemingly best drivers in the world. 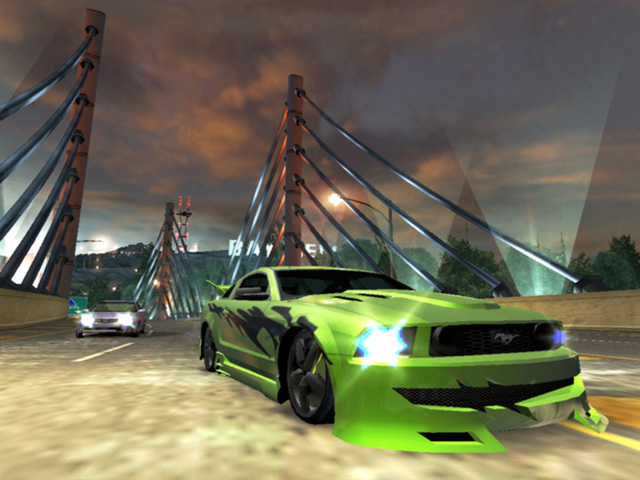 With over 25 vehicle models in the game and the ability to customize the cars' front and rear bumpers, side skirts, spoilers, hoods, exhaust tips, doors, roof scoops, wheels, spinners, headlights, taillights, side mirrors, paint, vinyls, decals, car stereos, hydraulics, nitrous and neon glow, the installment is easily the most customizable Need for Speed game yet. Download Need for Speed Underground 2 today and test your skills against the underground racing world of Bayview and get revenge for what was taken from you.